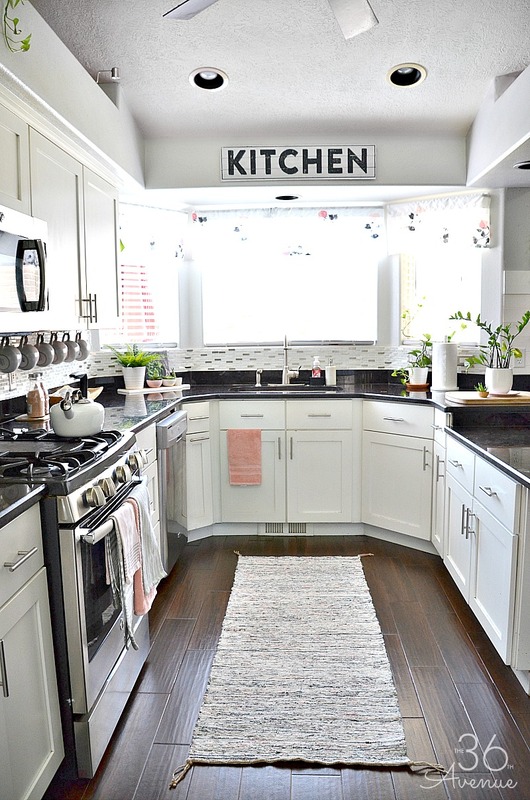 White kitchen decor ideas and how to decorate with pink accents. One of my favorite things about having a white kitchen is that I can add any color accessories I want to match my mood or the season we are in. I like changing things around and display different dishes and kitchen textiles that I have collected over the years. Pink is one of my favorite colors so I added a little bit of it here and there to add a pop of color. I love how it turned out and I hope you like it too. 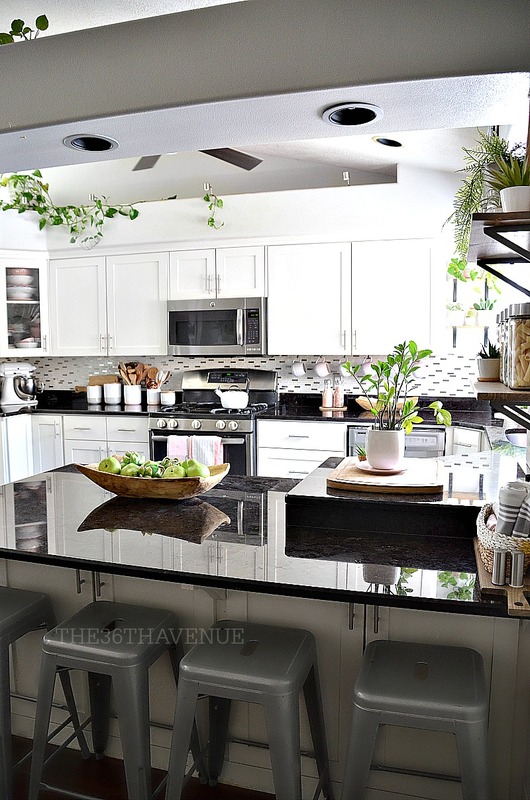 Let’s visit my kitchen and take a closer look together! I have a corner cabinet that used to have a lazy susan inside. Years ago I took the lazy susan out and I added glass to the front of the door. You can see the cabinet in the picture above. 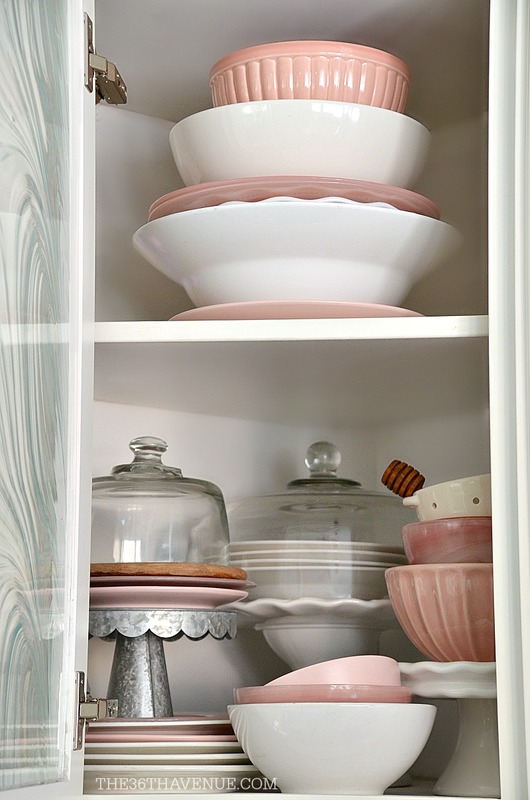 Now this is the perfect area to display my pink dishes and many other festive ones during the holiday season. Another easy and affordable way to add a pop of color and texture to your kitchen is hanging your mugs under your cabinets. To do this simply screw into the cabinet these hook HERE and then hang your favorite mugs! 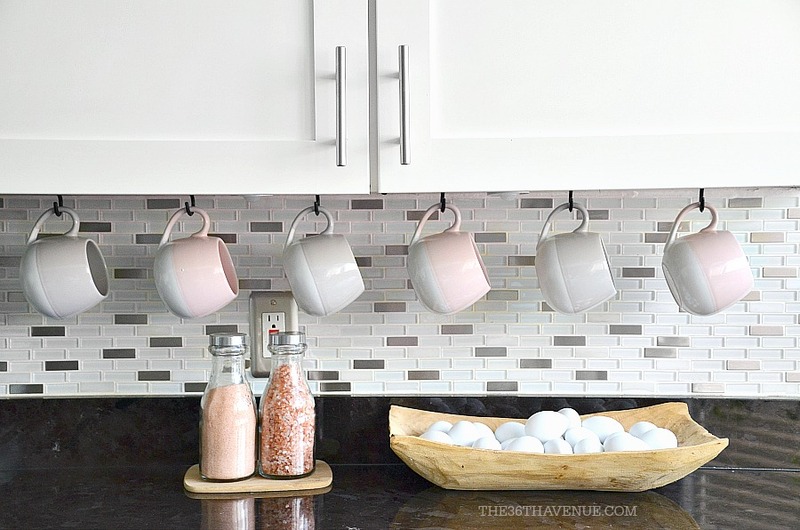 These cute pink and gray mugs were the perfect addition to my pink kitchen decor! You can find adorable pink mugs HERE. 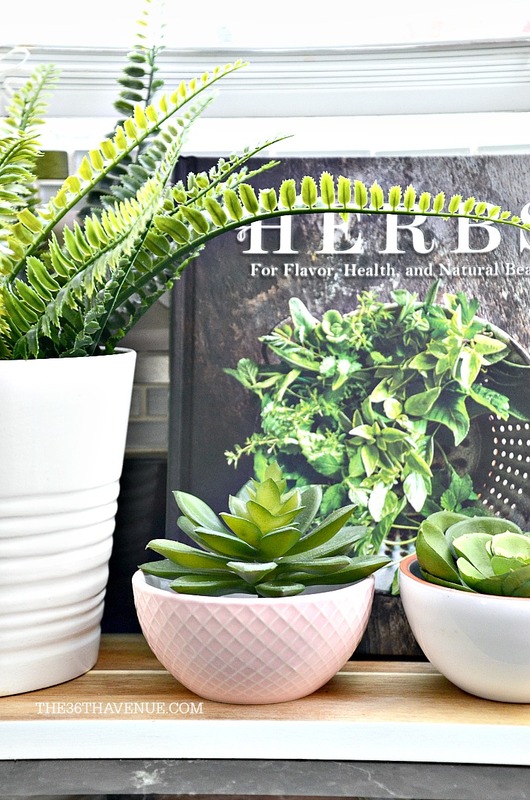 Plants and herbs are also a fantastic way to add color to any space. I’m not the best plant keeper so I always mix fake plants and real ones. 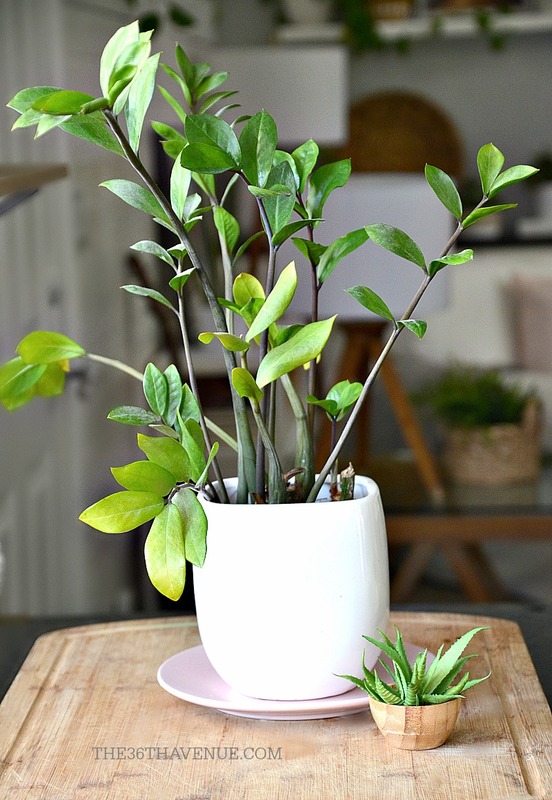 If you are one of those people that have a green thumb please leave me a comment with any tricks you have to keep them alive! I’m in serious need of help! 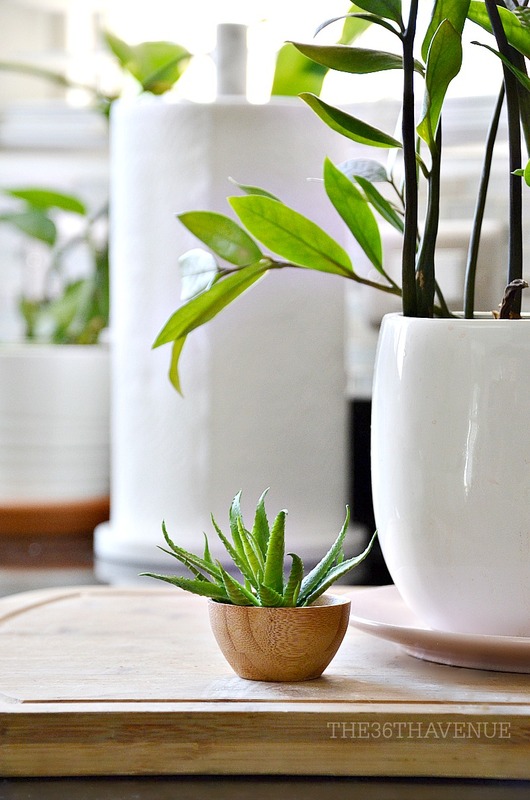 If you are like me, you can still add some greenery and find beautiful fake plants HERE. This is a real one! I personally like to decorate my home with items that I can use and this way I don’t add any unnecessary clutter. As you can see I am a little bit obsessed with wooden spoons and spatulas! 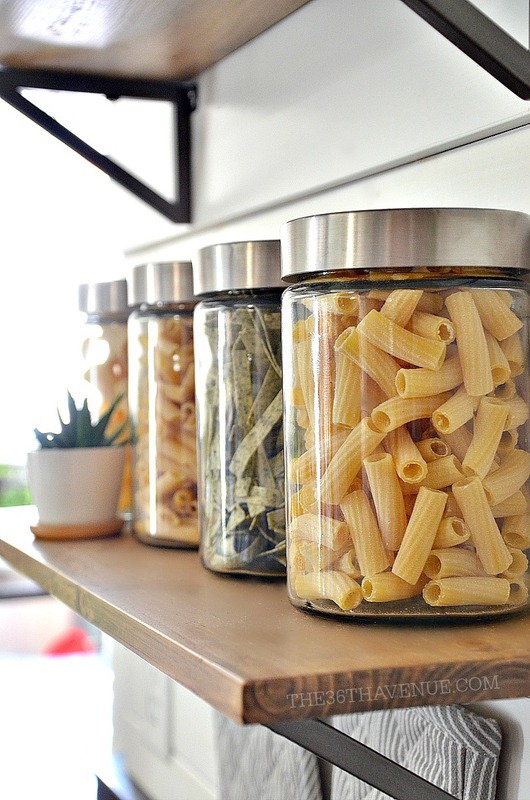 Pasta and beans make good food and good decorations! You can find different kitchen glass containers HERE. To finish the look I used pink kitchen textiles. I couldn’t find window valances that I liked so I ended up turning a duvet cover into my window treatments. Never underestimate the power of a piece of fabric and a sewing machine. 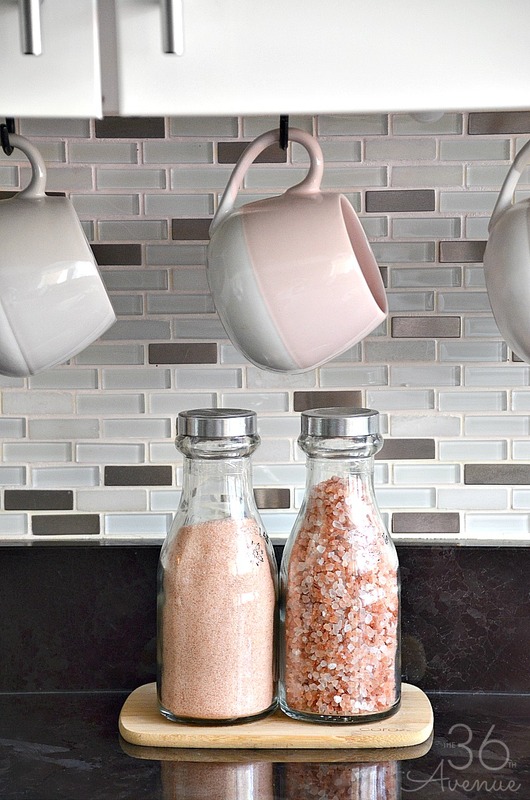 And just like that I gave my kitchen a new look… The little pops of pink make me happy! Don’t go yet! 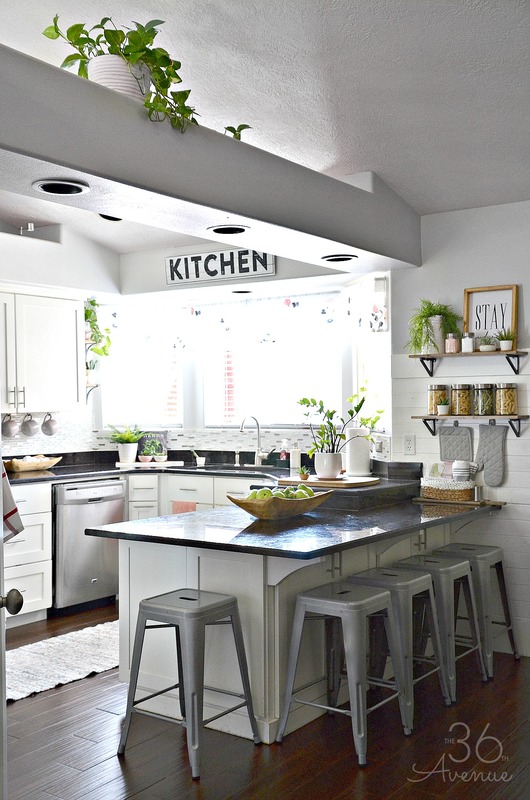 Here are some other kitchen decor ideas that I love! 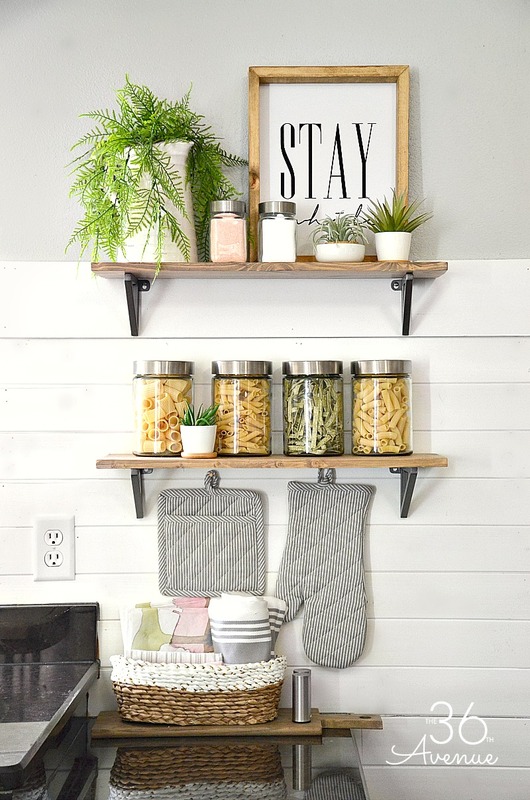 Click HERE to see Kitchen Farmhouse Decor Ideas that are affordable and for sure the perfect additions to your farmhouse decor. Click HERE to be inspired by these beautiful white kitchens! 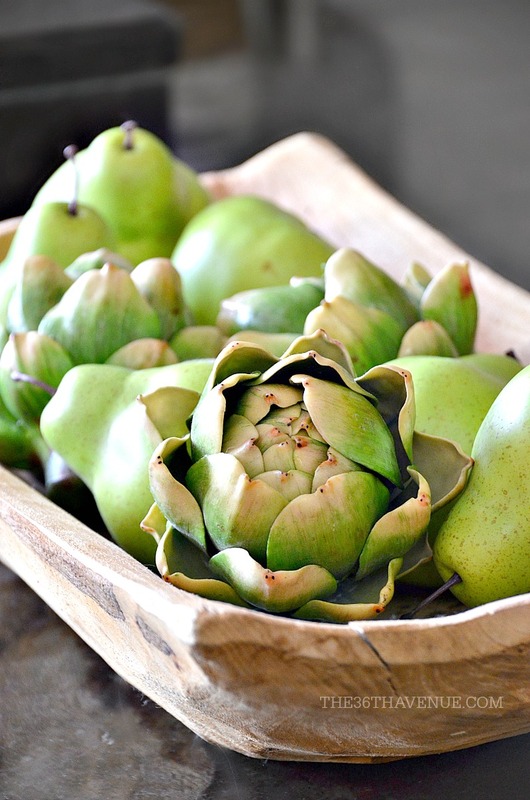 Click HERE to take a tour of some of my favorite Farmhouse Kitchens around! 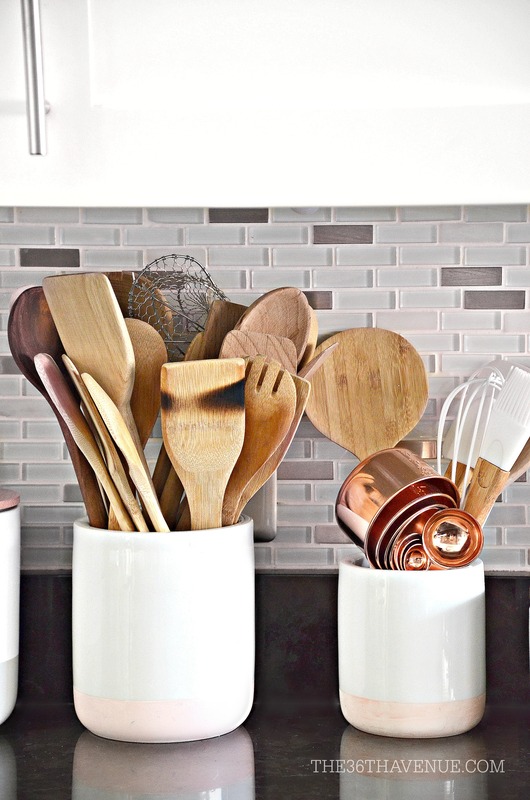 Click HERE to see clever Kitchen Gadgets that every kitchen should have.